Sarah, from Pennsylvania, sent us this great shot of her recent project. 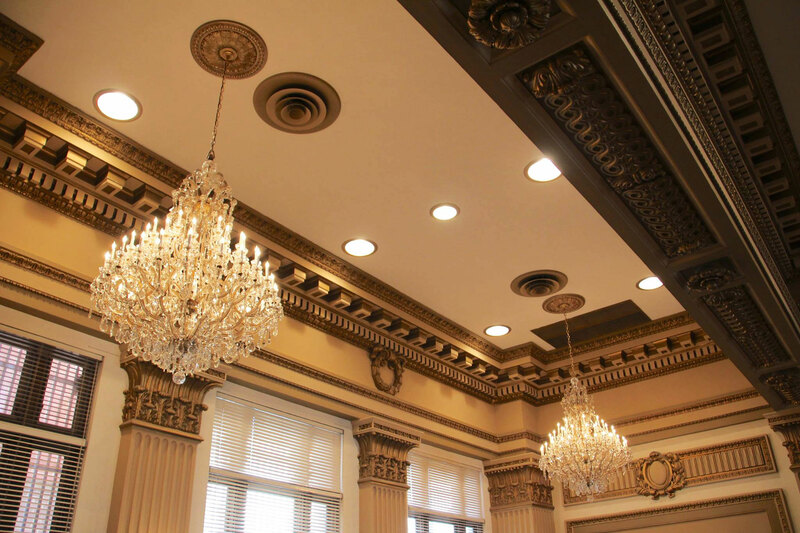 Sarah uses some Tomango Egg & Dart Ceiling Medallions to further enhance the elegance of the room. Medallions are excellent decorative pieces when paired along with ceiling appliances. They can also be used as wall decor! At Architectural Depot we offer a huge selection of medallions with various sizes, finishes, designs, and shapes.